Washington DC Commercial Window Filming | 703.794.8468 Commercial window Film for buildings in Washington DC | window glass film, 3m window film tinting, prestige window film, security window film, decorative glass film, energy saving window film, window film, UV filtering, UV protection, window film, building window film, business window film. 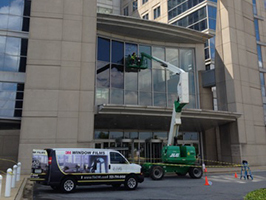 Washington DC building owners increase tenant comfort, let the good light in, keep costly and harmful UV rays out and thwart vandalism and break-ins by using 3M Window Films. 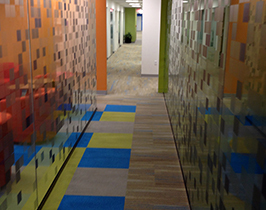 Window Film provides a great return on investment and so much more. Selecting 3M™ Window Film products gives you peace of mind with a limited-lifetime warranty against peeling, bubbling, and dis-coloration. 3M™ Window Films provide an elegant, yet practical means for solving many of the most challenging aspects of managing sun control and privacy issues surrounding the use of your home or business. 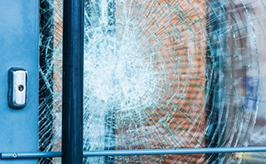 Call 703-794-8468 for a free estimate and our helpful staff will insure you receive prompt service and great 3M™ Prestige Window Film products. 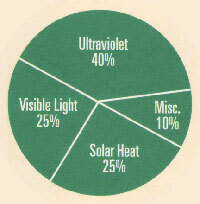 To learn more about 3M™ UV protection, Click the Chart to the right. Window tinting is a very special trade that requires years of experience to insure the proper film and fit. You just can't call anyone. The installers must be experts in their field. We insure every installer who comes to your business is an expert at what they do. If you are a builder, we can offer special discounts. Please review our Referral Partners Program.